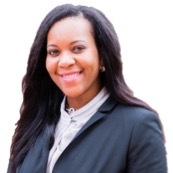 LaToya White is a founding partner of Sylver Rain Consulting, LLC and Professional Scrum trainer in Washington, DC. As a master’s educated executive-level IT professional, LaToya is recognized as an expert in managing all aspects of state-of-the-art products and services including product ownership and backlog management. Highly skilled at leading and directing all phases of the product development lifecycle from conception and planning to design, product launch and marketing, LaToya is proficient in developing and implementing product strategy in support of organizational goals and objectives. LaToya began her career in manufacturing management and process improvement practicing Servant Leadership, Lean/Kaizen and 6-Sigma principles. She transitioned to IT consulting over 8 years ago and has been helping Agile development teams create business value ever since. LaToya has been practicing agile principles for over 10 years and has played a key role as a Certified Professional Scrum Trainer for Scrum.org for over four years teaching organizations throughout the country the benefits of the Scrum framework. LaToya has coached development teams and executive leadership teams through enterprise wide Scrum adoption. LaToya has spearheaded multiple client facing presentations, workshops, conferences and training sessions on the scrum frameworks and its technical practices.